Owing to the several requests from my fans who are keen on learning more about this beneficial local butter, I was moved to write this article. The fact that you picked interest in reading this article tells me that you are keen on knowing what shea butter is all about, why you need shea butter and how you can use it for numerous purposes. So, What is Shea Butter? Shea butter (ori) is that ivory or light white-colored vegetable fat produced from the nuts of the shea tree. It is produced from shea seeds of the shea tree which has presently gained huge attention both locally and internationally as an economic plant due to its high demand. The shea tree which is also known as karite, ori tree, Vitellaria paradoxa, Butyrospermumparkii or Karitébaum belongs to the sapotaceae family. When compared to other economical plantation trees, shea trees usually take a longer time approximately 45 to 50 years to reach maturity and this is part of the reasons why this plant wasn’t initially grown for economic purposes. But interestingly, the shea tree can continue yielding shea nuts even after reaching two hundred years old. The shea tree is originally from the African savanna area and it is characterised by fruits that contain fat-rich nuts or kernels. The demand for shea butter as an equivalent or alternative for cocoa butter has been on the increase recently because it has similarities with cocoa butter in terms of the melting point as well as high stearo-palmatine and distearin contents. Shea butter is mainly used in the pharmaceutical, confectioneries, and cosmetology industries. The African shea butter can be used for various purposes such as ointment production, soap manufacturing, frying, cooking, body balm, medicines production and confectionery production. It is worthy of note that the quality of the shea kernels greatly determines the quality of the shea butter extracted. In other to obtain most quality shea butter, many people prefer buying the shea kernels and then extracting the shea butter on their own so as to produce the best quality shea butter. Shea butter is produced by breaking the nuts and then carefully extracting the content from the nuts before heating for the main shea butter. Shea butter is an excellent source of phytosterol, fatty acid triglyceride (stearic and oleic), palmitic acid, linoleic acid and unsaponifiable matter that facilitate the skin's natural renewal process. Shea butter oil is also a rich source of cinnamic acid, which helps to protect the skin from dangerous ultraviolet rays. It also contains vitamins A and E which are very beneficial for us. Clinical studies conducted by scientists reveal that applying shea butter on the skin reduces various signs of aging as well as prevents photo-aging induced by chronic UVA and UVB exposure. Shea butter also contains UV anti-erythemic properties that help in keeping the skin softened as well as facilitates tissue cells regeneration. Shea butter promotes collagen and elastin production which are the key structural proteins that toughen the skin thereby making it to glow. The anti-aging and collagen effects of shea butter are as a result of its unsaponifiable contents. Shea butter contains anti-inflammatory properties thus can be used to reduce skin irritations and reactions to unwanted chemicals. Shea butter contains α-amyrin which is the most dominant triterpene that has been reported to exhibit anti-inflammatory effects thus preventing skin inflammatory reactions such as edema and body swelling. Shea butter can be used medicinally for producing drugs that lower the cholesterol levels as well as reduces the lipoprotein (LDL). 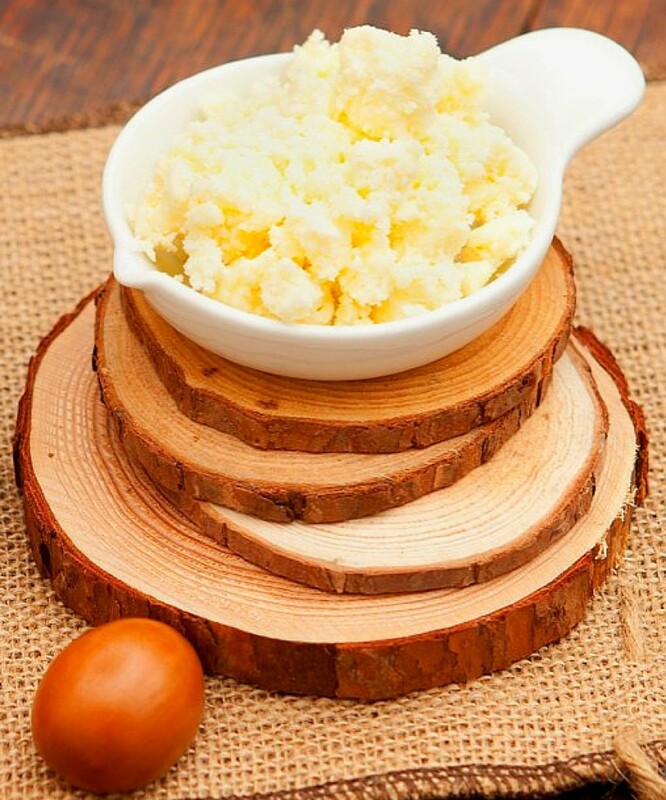 The anti-hypercholesterolemic ability of shea butter is due to its high stearic acid and saponin content. Saponin lowers the serum cholesterol by forming mixed micelles with bile acids and cholesterol in the intestine thus increasing its excretion and preventing its absorption. Shea butter can be applied topically on the body parts as a treatment for skin diseases such as eczema, dermatitis, rashes and dry skin. It protects the skin and makes it to glow and look more elegant. Shea butter can also be produced into body lotions or creams that mainly use fatty bases during production. Both the fruit, bark, leaves, seeds, stem and roots of the shea tree can be used for producing medicines for treating gastrointestinal tract infections such as helminthes, diarrhea and dysentery. Shea butter can be used as a sun-screening cream that reflects or absorbs part of the sun's ultraviolet (UV) radiation that could possibly harm the skin when exposed to sunlight. Shea butter contains cinnamate esters of triterpene alcohol thus protects the skin against sunburn, reduces risk of sun-induced skin cancer, protects against erythema and fights against photocarcinogenesis. Due to buttery consistency and semi-solid nature of the shea butter, it can be topically applied on the skin as a moisturizer or as an emollient. Shea butter melts at body temperature thus can be easily absorbed into the skin. Shea butter oil is an excellent source of free fatty acids thus can be used as an oil substitute for producing dishes. The high protein-rich caterpillars of Cirina butyrospermi that usually thrive on the shea trees are a rich delicacy for some African countries. The opportunity of harvesting the Cirina butyrospermi caterpillars has been reported to be the main reason why some farmers allow the shea tree to remain on their plantation lands. Shea butter can also be used as a substitute for butter, margarine or cocoa butter for cooking. Shea butter contains anti-oxidizing properties due to its tocopherol content. 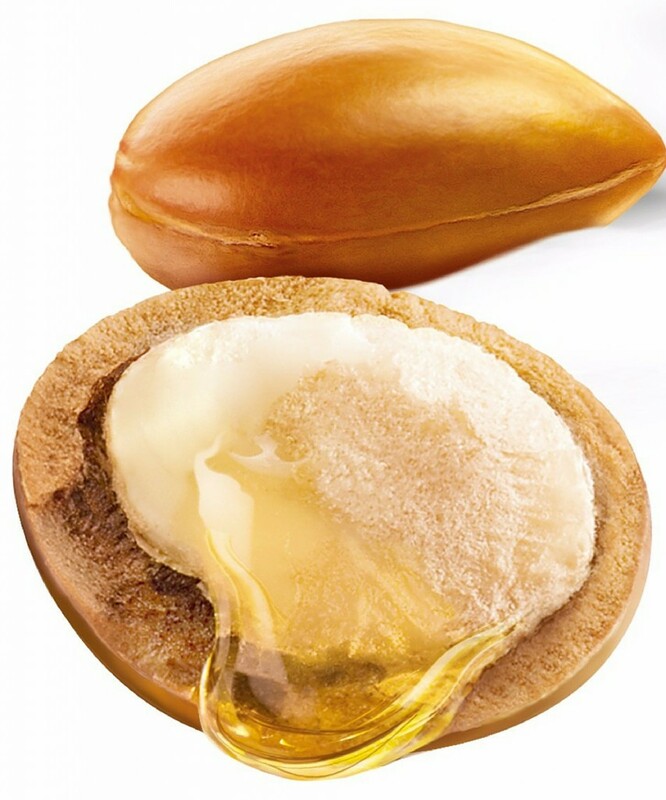 Shea butter can be applied on the scalp and hair to prevent dandruff. It also helps the hair to grow and keeps the hair moisturized. Shea butter acts an insect repellent so it is capable of putting off insects, mosquitoes and flies when applied on the skin. Shea butter can be used for preparing local medicines for treating nasal congestion, rheumatism, inflammation of the nostrils, cough, minor bone dislocation and leprosy. It is also useful for protecting against simulium infection, prevents stretch marks and facilitates quicker healing of the male genital parts after circumcision. There have been no reported allergic reactions attributed to either oral or topical use of shea butter. 1. Belewu M A, Yahaya A A (2008) Effects of Aspergillus niger treated Shea butter cake based diets on nutrient intake and weight gain of Red Sokoto goat. Afr. Journal of Biotechnol. Vol. 7 (9), pp. 1357-1360. 2. Coulibaly, Y. Ouedraogo, S. and Niculescu, N. (2010), Experimental study of shea butter extraction efficiency using a centrifugal process ARPN Journal of Engineering and Applied Sciences 4. 6: pp.14-17. 3. Davrieux F, Allal F, Piombo G, Kelly B, Okulo J B et al. (2010), Near infrared spectroscopy of high- throughput characterization of Shea tree (Vitellaria paradoxa) nut fat profiles. Journal of Agricultural and food Chemistry, 58, pp. 7811-7817. Journal of the International African Institute, vol. 77, pp. 37-60. 6. El-Mahmood A M, Doughari J H, Ladan N (2008), Antimicrobial screening of stem bark extracts of Vitellaria paradoxa against some enteric pathogenic microorganisms, African Journal of Pharmacy and Pharmacology Vol. 2(5). pp.089-093. 7. Enweremadu, C. C. and Alamu O. J. (2009), Development and characterization of biodiesel fromshea nut butter.International Agrophysics, 24, pp.29 –33. 8. Honfo, F. G., Linnemann, A. R., Akissoe, N., Soumanou, M. M. and van Boekel, M. A. J. S. (2013), Characteristics of traditionally processed shea kernels and butter. International Journal of Food Science & Technology, 48: 1714–1721. doi: 10.1111/ijfs.12142. 9. Ifesan, B. O. T, Ofasasi O. S. and Ehoniyofan F. A. (2012), Production of bread spread from blends of shea butter (Vitellariaparadoxa), Garlic (allium sativa) ginger (Zingiberofficinalis) scent leaf (Occimumbassilum) and Suya spice, Journal of Microbiology, Biotechnology and Food science. 1. 6: pp.1406-1420. 10. Maranz S. and Wiesman Z. (2003), Evidence for indigenous selection and distribution of the Shea tree, Vitellaria paradoxa, and its potential significance to prevailing parkland savannah tree patterns in subSaharan Africa north of the equator”, Journal of Biogeography, vol. 30, pp. 1505-1514. 11. Mbaiguinam M, Mbayhoudel K, Djekota C (2007) Physical and Chemical Characteristics of Fruits, Pulps, Kernels and Butter of Shea Butyrospermum parkii (Sapotaceae) from Mandoul, Southern Chad. Asian J. Biochem. 2: pp.101-109. 12. Nandini V Rina C Rakha H D, Hemant K G (2012), Anti-Inflammatory Effects of Shea Butter through Inhibition of Inos, Cox-2, and Cytokines via the Nf-Kb Pathway in Lps-Activated J774 Macrophage Cells. Journal of Complementary and Integrative Medicine. 9(1) pp 1–10. 13. Ogbonnaya C, Adgidizi P P (2008) Evaluation of some Physico-chemical properties of Shea butter (Butyrospermum paradoxum) related to its value for food and industrial utilization. International Journal of Post Harvest Technology and Innovation. 1(3). pp 320-324. 14. Okor R. S., Obaduni J. (1992), Reversibility of cohesive interaction in certain polymeric dispersions. J Macromol. Sci. Phys. B;31: 281-286. 15. Olaniyan, A. M. and Oje,K. (2007), Quality characteristics of shea butter recovered from shea kernel through dry extraction process. Journal of Food Science Technology. 44, pp.404-406. Certified Organic and Conventional Agricultural Methods, Food Chem. 109: pp.670-673. 17. Ugese, F.D. Ojo A. A. and Bello, L.L. (2005), Effect of pre sowing treatment and nut orientation on emergence and seedling growth of seeds of Shea butter tree (Vitellaria paradoxa), Nigerian Journal of Botany, vol. 18, pp. 294-302. 18. Wittebolle B. and Lieven, H. (2009), Initial community evenness favours functionality under selective stress, Nature, vol. 458, no. 7238, pp. 623–625. 19. Womeni, H. M., Tchgna D. T, Ndjouenkeu R, Kapseu C, Mbiapo F. T. , Linder M, Fanni J and Parmentier M. (2006), Influence of traditional treatments of shea seeds and kernels on the butter quality, Food Africa: Improving Food Systems in Sub- Saharan Africa, responding to changing Environment in Africa. 13: 297 - 302.